This was a night I’ve been waiting for. Show number 11 out of 13 on this European Prog Rock Royalty Tour. And I was not alone in this because the show sold out rapidly after tickets became available months ago. And I also heard very good signs from previous shows in Spain. How many times do we have the opportunity to see so many fabulous musicians on stage? One night, two bands, three shows… Performing separately as well as jamming together like a super band! What a brilliant way to celebrate 20 years of Inside Out Music. As I walked to the Boerderij venue, only 5 minutes after doors opened, lengthy queues had build up already. Everyone who wanted to get in, wanted to be at the front of the hall or at the balcony. All anxious to have this night of great shows to enjoy. The mood was set instantly by these fantastic Swedish guys by starting off the night with this lengthy -twenty-five minute- crushing song Numbers from their latest album Bank of Eden. A gig in itself. 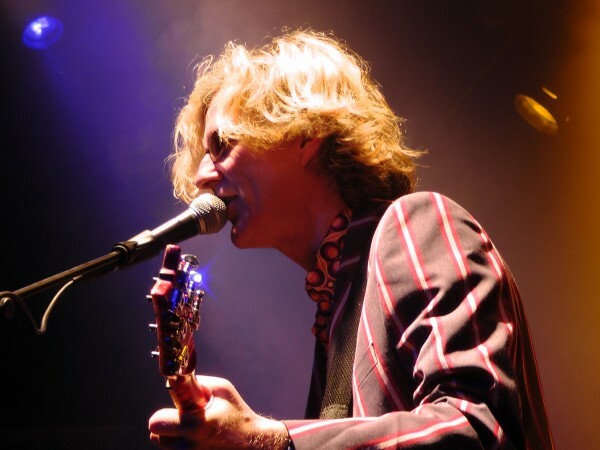 The highly crafted talents of Hasse Fröberg, Jonas Reingold, Roine Stolt and partners led us from fabulous song to fabulous song, taken out of their rich musical history that the entire crowd knew by heart. Through these older tracks like the 1995 My Cosmic Lover, the 1997 Circus Brimstone and 2002 golden The Truth Will Set You Free (with some wonderful jazzy jamming) -being an exclusive piece of historiography all together- the band ended the set with Rising the Imperial from the new album as a climax. But they really peaked by adding a medley of oldies Last Minute on Earth and In the Eyes of the World. Leaving the audience grasping for breath. 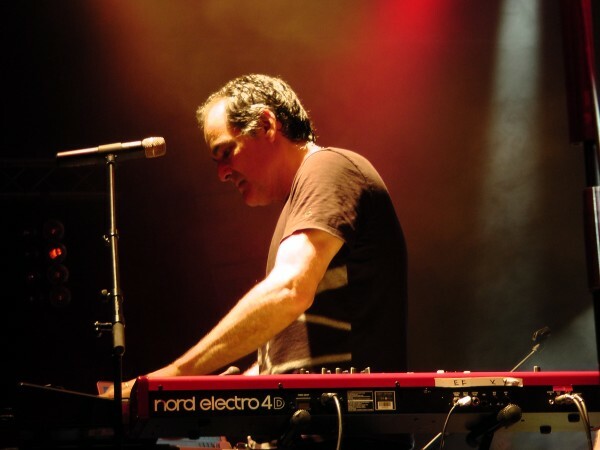 This afternoon, as Neal Morse walked out of the room after being interviewed, I said to him “Enjoy tonight’s show!” He turned around with a big smile on his face and replied “Sure, I just hope I’m not gonna enjoy it too much!” Exactly the same sheer joy of that remark could be found on stage that night. A grand set of songs out of his very impressive catalogue. Starting of with Momentum of course, followed Weathering Sky of the same album. The extreme Author of Confusion was the expected highlight of the set for me. And it was, but only for a short time as every song made it more intense and raised the atmosphere even more. They just kept going on playing lengthy songs. Neal even got up on the balcony while singing Sweet Elation amidst some surprised people. Adson Sodré from Brazil was playing like hell on his guitar frequently grinning to anyone in the audience was a real treat. 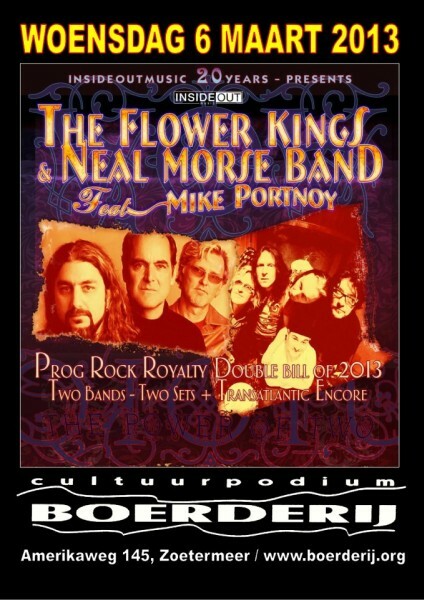 And what about Mike Portnoy who claimed this was the first time he was in Holland drumming in the Neal Morse Band. Even bass player Randy George started smiling and left his spot every now and then as the show went on. One big party was going on on stage with ever increasing feasting. What can I say, everybody was enchanted. One climax was exceeded by the next. The encore World Without End being the double climax. Speechless. To build a quiet bridge, in order to get mad again for the final act of this night, Roine entered the stage to play a beautiful sober Bridge Across Forever together with Neal. Done? Not at all. 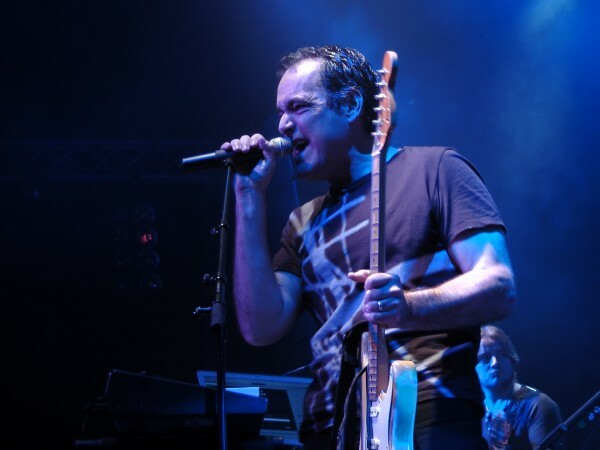 The Neal Morse Band together with an increasing number of Flower Kings band members started a third gig with Transatlantic songs. Here is the point that the audience went berserk. How much jamming and fun can you create with twelve top notch musicians together on stage? Stranger in Your Soul being the climax of climaxes squared. Clocked at about four hours and a quarter this was a set seriously extended on other places where this show was done. A show that no one of the crowd will ever forget, submerged in a night of joy and excellence. This is how you treat an audience.